I have some brushes from MAC, Make Up For Ever, Revlon, Avon and the Body Shop, but as you can tell if you own any yourself, the most popular brand in my collection is Real Techniques, which are made by Sam Chapman, one half of the sisterly duo that is Pixiwoo. As a make up artist, blogger and youtuber, Sam really knows her stuff and these brushes are excellent. I have yet to get my hands on the eye brushes, but don't worry, they will follow in due course. Some of my favourites from my collection are the Real Techniques expert face brush, blush brush, detailer brush and buffing brush. Outside of that I really really like my Make Up For Ever lip brush and of course the MAC 217. 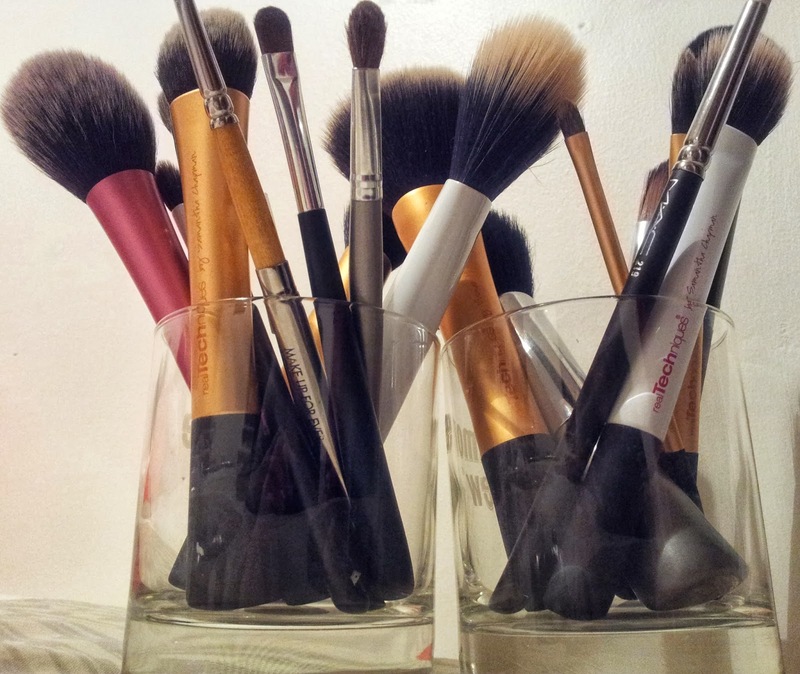 Do you use any of these brushes? What are your favourite brands and types of brushes? Love your brush collection, mine is made up of Sigma and RT! Nice collection! I love Real Techniques brushes! Especially the Buffing Brush! I have a few Avon brushes aswel, the blush brush and the powder brush, They're really dense aren't they!? Would you believe it, I've tried the RT brushes - they look lovely though, i'm always oohing and aaahing over them when I see them in Boots. Must try them out soon! I'm addicted to brushes, must have over 300 by now, eeeek!! !